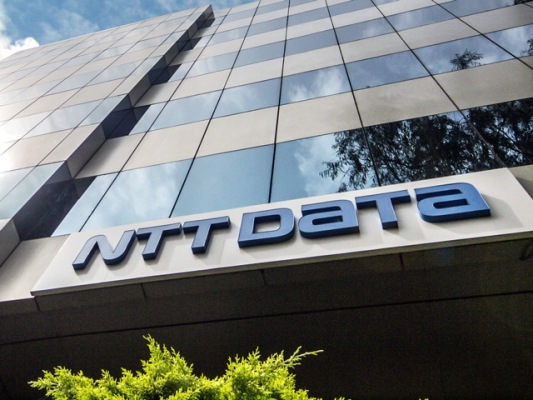 NTT DATA Corporation is a Japanese system integration company and a subsidiary of Nippon Telegraph and Telephone (NTT). Japan Telegraph and Telephone Public Corporation, a predecessor of NTT, started Data Communications business in 1967. NTT, following its privatization in 1985, spun off the Data Communications division as NTT DATA in 1988, which has now become the largest of the IT Services companies headquartered in Japan.